The 4th CSITF invited Italian Republic as the Guest Country of Honor. Italy is one of the largest economies in Europe and a founder member state of the European Union. It is also an important country located along the “One Belt, One Road” route. 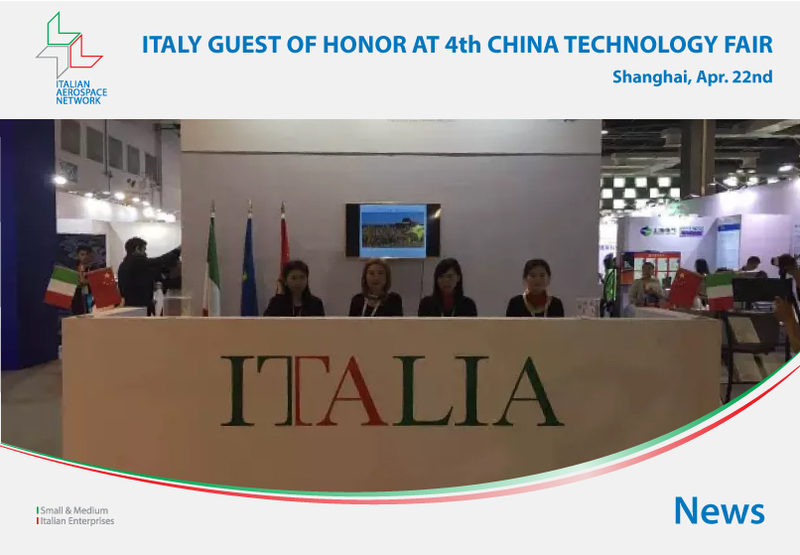 Inviting Italy as the Guest Country of Honor helps develop a sound mechanism for Sino-Italy cooperation in technology, research, and trade. It also fosters the development of technology trade in the world, especially in China. The Guest Country of Honor events will include: exhibition, forums, high-level meetings between Chinese and Italian officials, and exchange events in culture and art. The Italian high-level official delegation will be led by its Minister of Education, Universities and Research, with members from Ministry of Environment and Ministry of Foreign Affairs. A number of Italian enterprises will also attend the fourth CSITF. As an institute which includes more than ten Italian enterprises, Our IAN attended to this great fair with pleasure. There is a unique IAN booth at CSITF which shows our projects related to many aspects of aerospace industry field, including the engineer design of airport/heliport；logistic solutions for airports and assembly lines; aircraft interiors design; aircrafts and UAV platforms; airport handling and passenger services; aircraft technical publication and electronic training devices; full-flight simulators and so on. Welcome to our booth and contact with us directly!